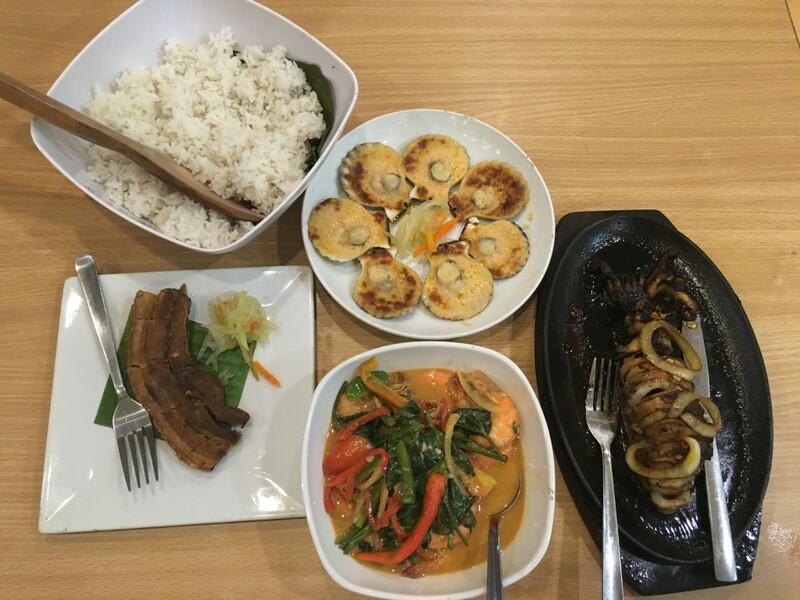 We adventure out to find and eat some awesome food from Iloilo. 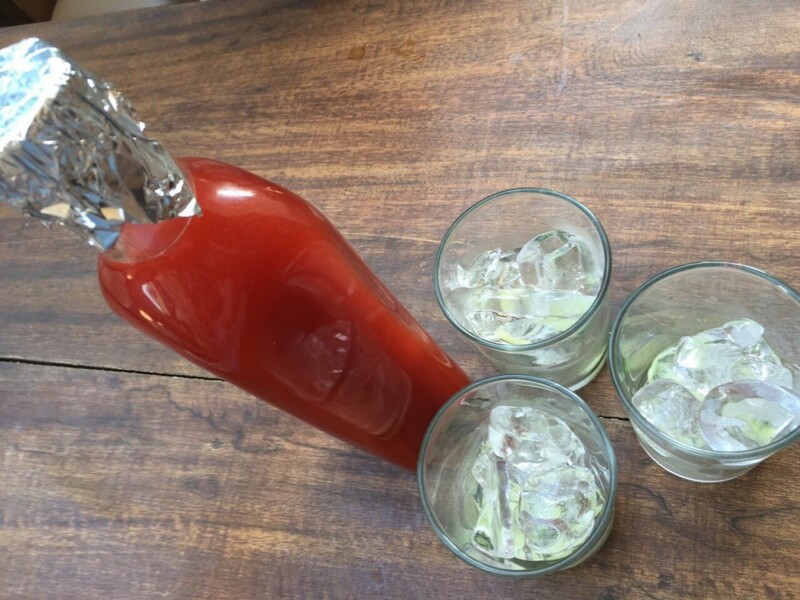 Join us as we uncover a mouth-watering food adventure designed to suit any budget, appetite and time frame. In no particular order, it follows only the chronological order of our destination/journey. 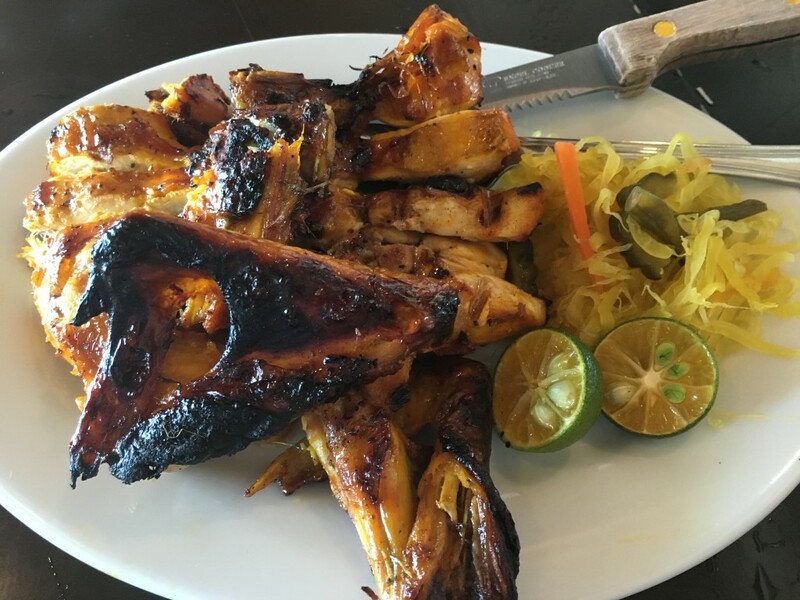 On the other hand, I highlighted my “Best Iloilo Eats: Heidi’s Choice”. 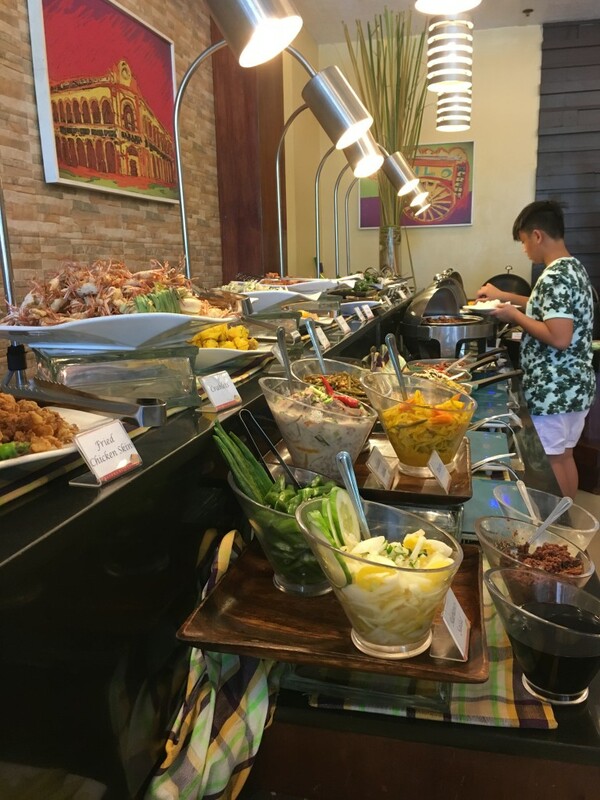 Presenting my 21 (and counting) Iloilo Food Binge! 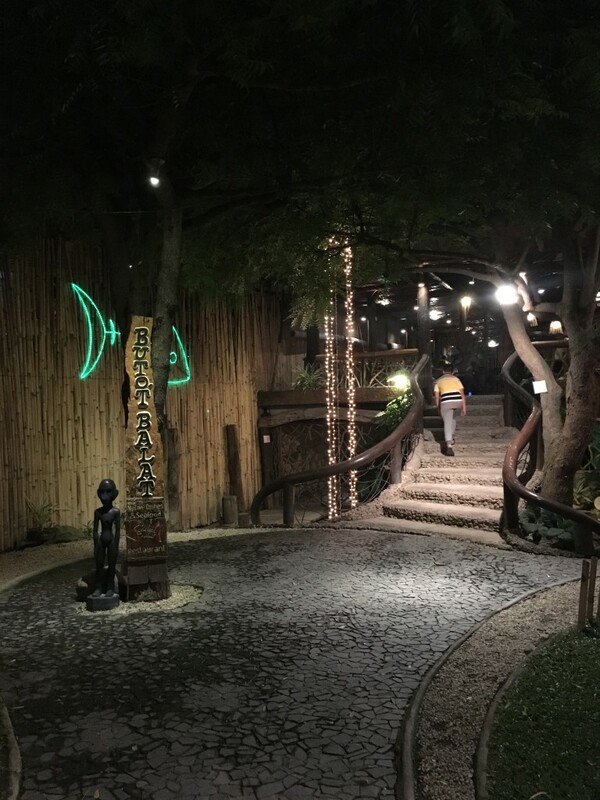 Breakthrough Seafood Restaurant is one of the top seafood restaurants in the city. It is located in Villa Beach which is around 30 minutes away from the metro. 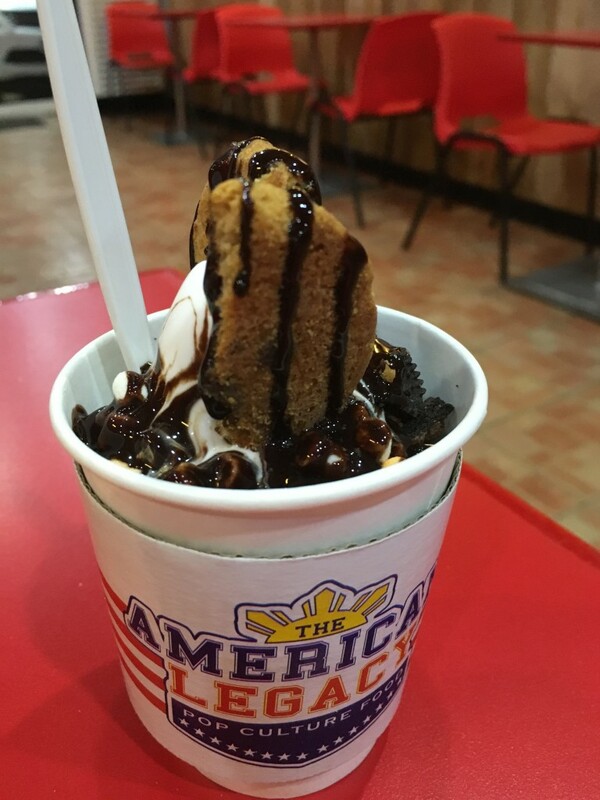 Travel less, you can experience the same food as they branch out in Iloilo’s business district. 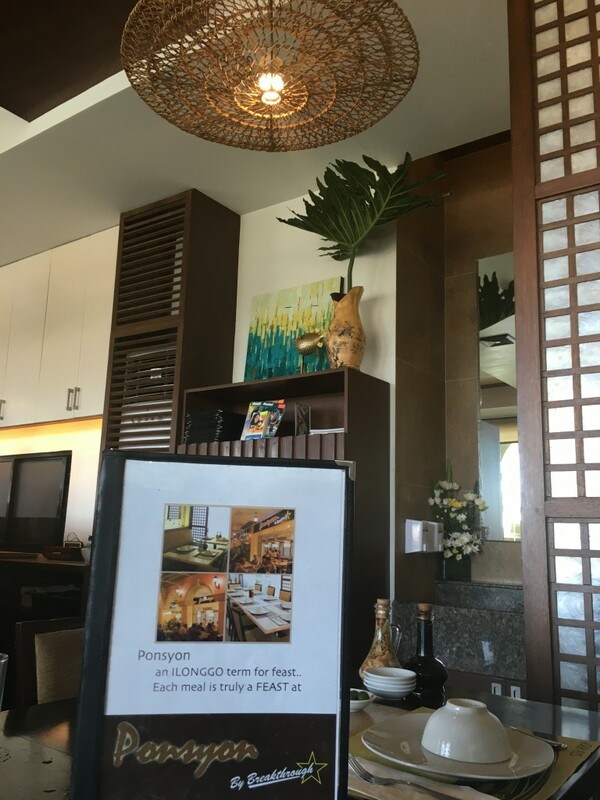 The Ponsyon Restaurant on Diversion Road in Plazuela de Iloilo near SM City is a branch of Breakthrough. 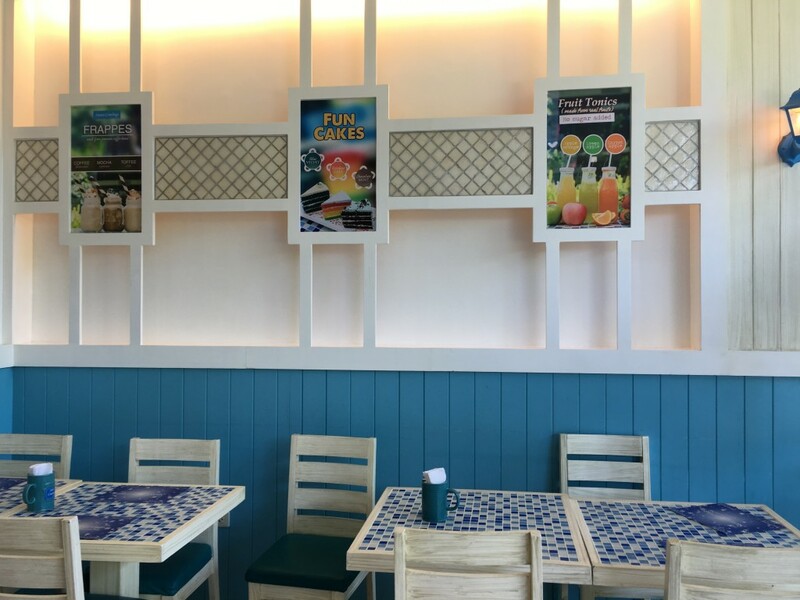 Ponsyon has identical menu with the ones in Villa Beach. Their callos is good, (but not as flavorful as my sister’s) they put good quality of chorizo. 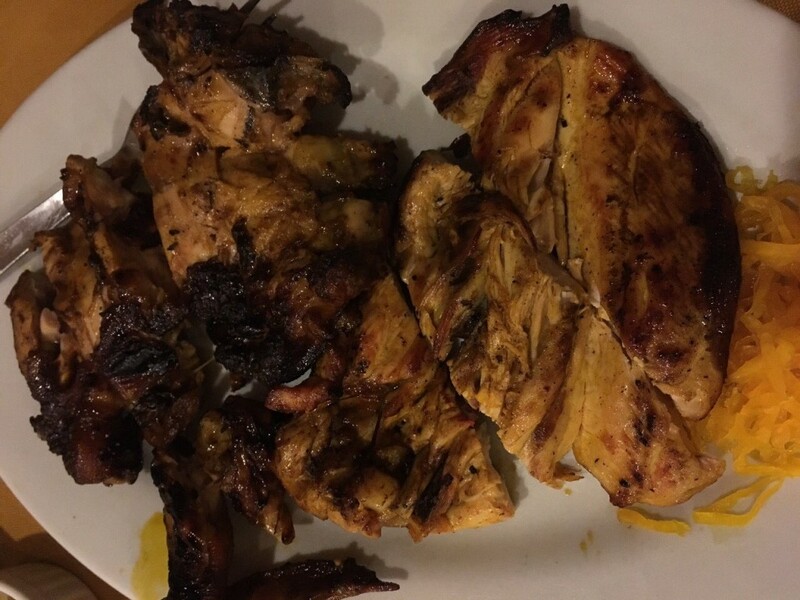 The chicken inasal is tasty. 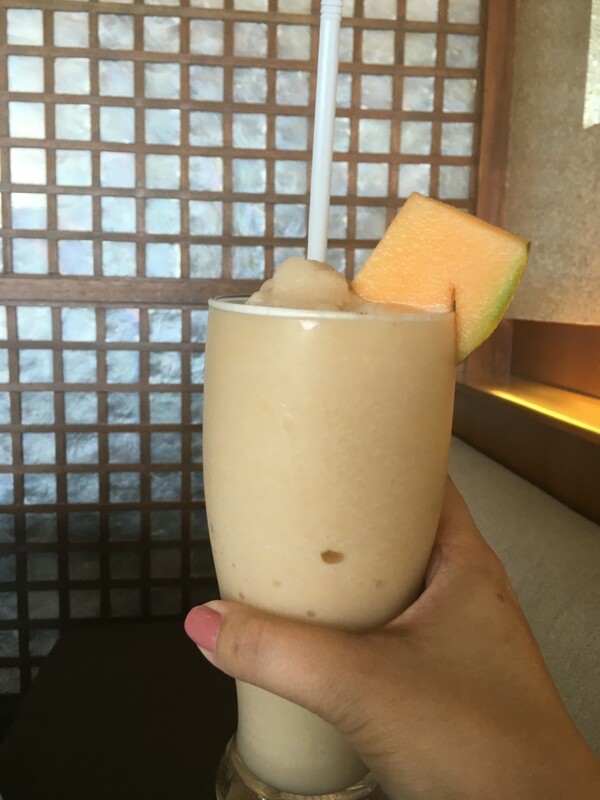 The melon shake is light and refreshing. 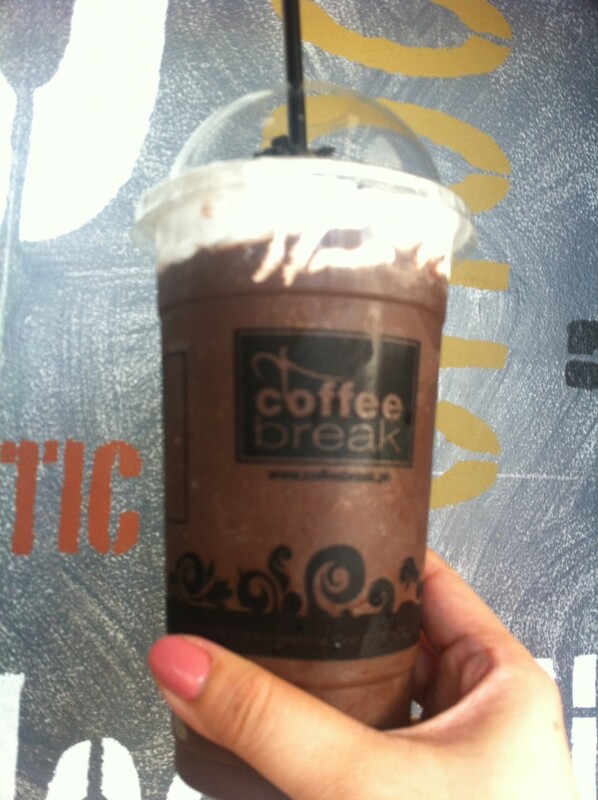 Perfect on a hot summer days. 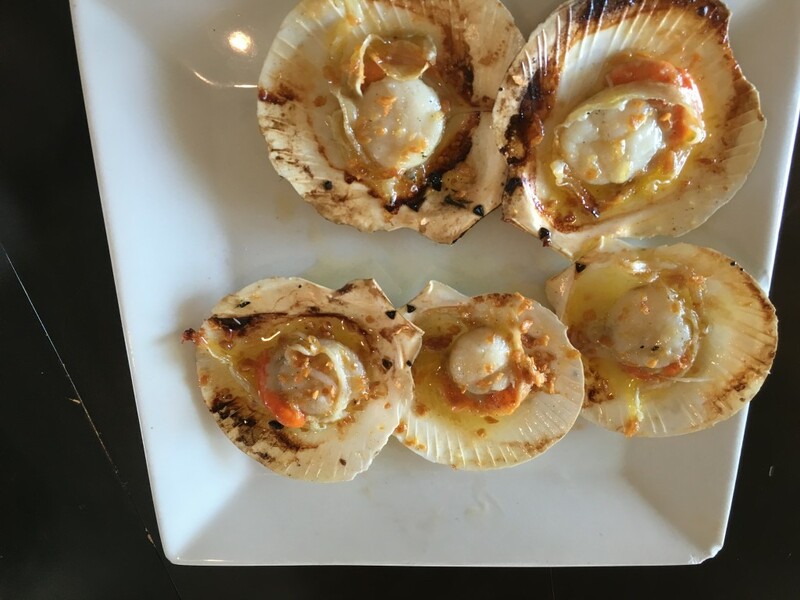 The scallops are overpowered with butter thus, I wasn’t able to savor the freshness of it. 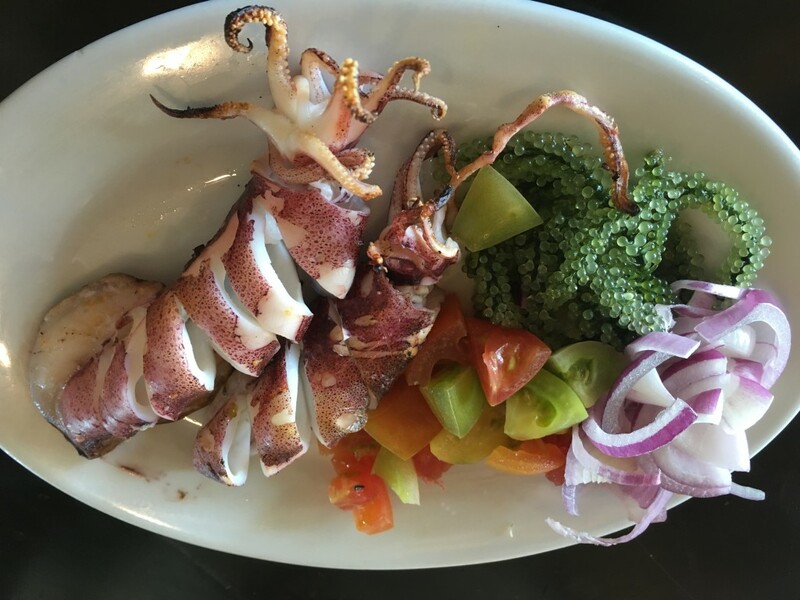 As to the squid, I was expecting a fresh catch. If the last two mentioned were not served to me the way I want it to be, then let me sealed it with just a passing grade. It’s a hit! We LOVE everything we ordered. 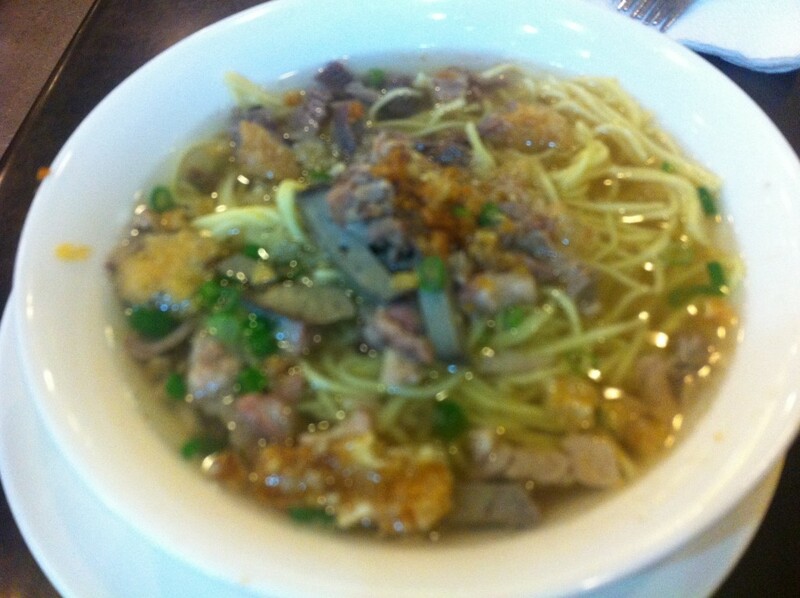 Iloilo is the home of La Paz Batchoy. 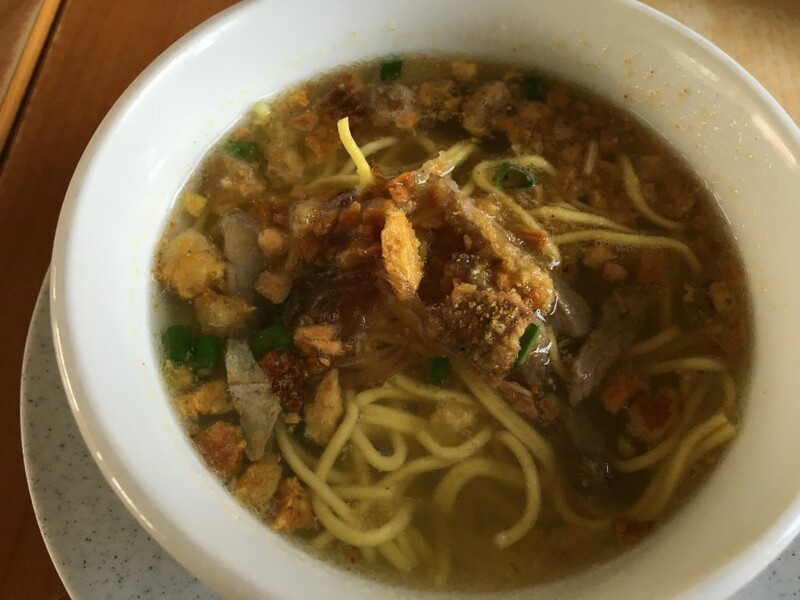 It is one of Iloilo’s best-known signature dishes and the most famous places to eat batchoy are , Netong’s, Ted’s and Deco’s. 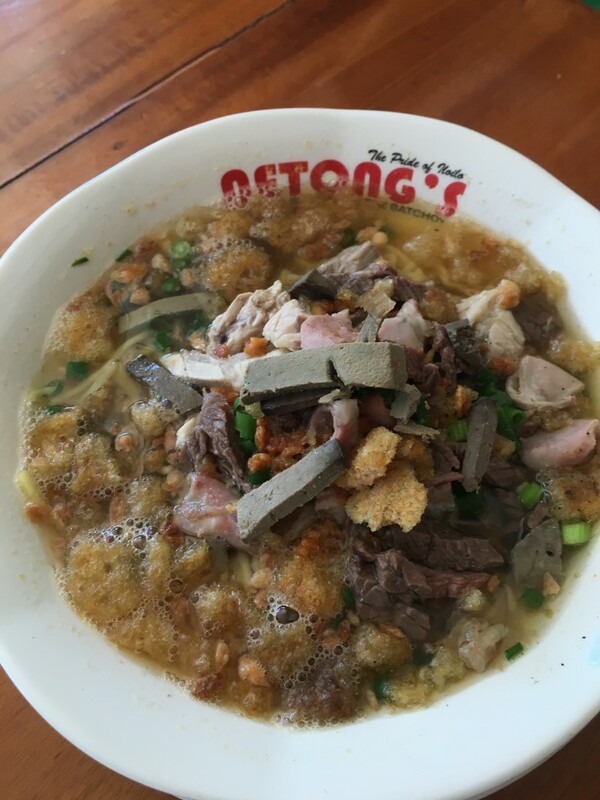 My favorite is Netong’s . 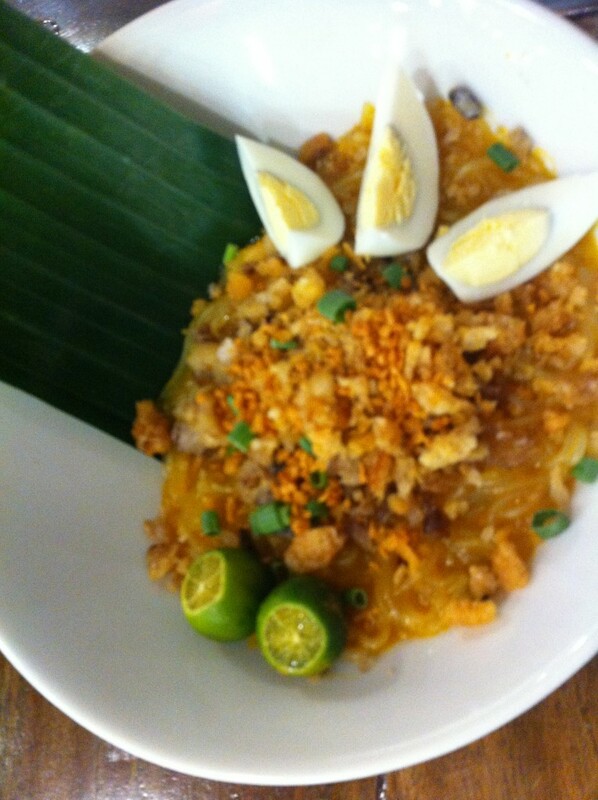 The bowl is brimming with noodles, chicharon, entrails, garlic, and you can even add beef, eggs, paired with pandesal or puto. Winner! 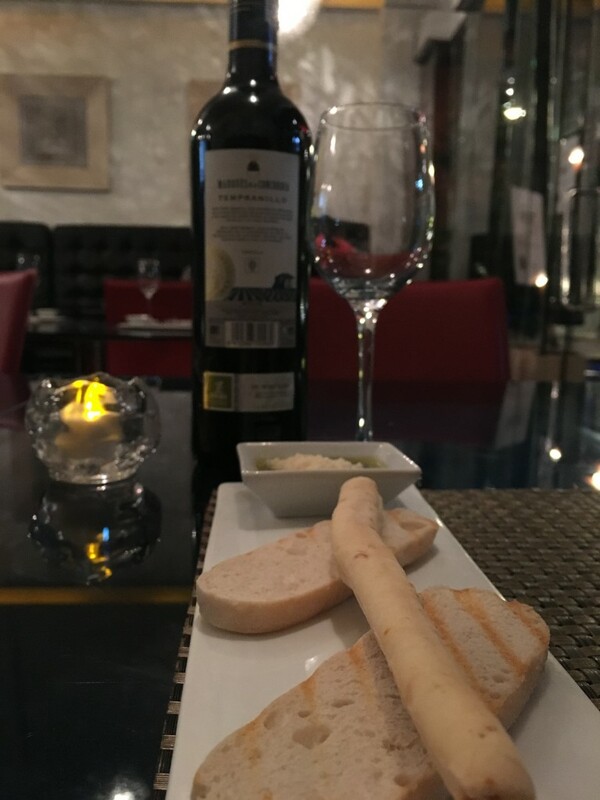 If you’re craving for something Italian, or you simply want to experience gastronomic delight Amalfi is the place for you. 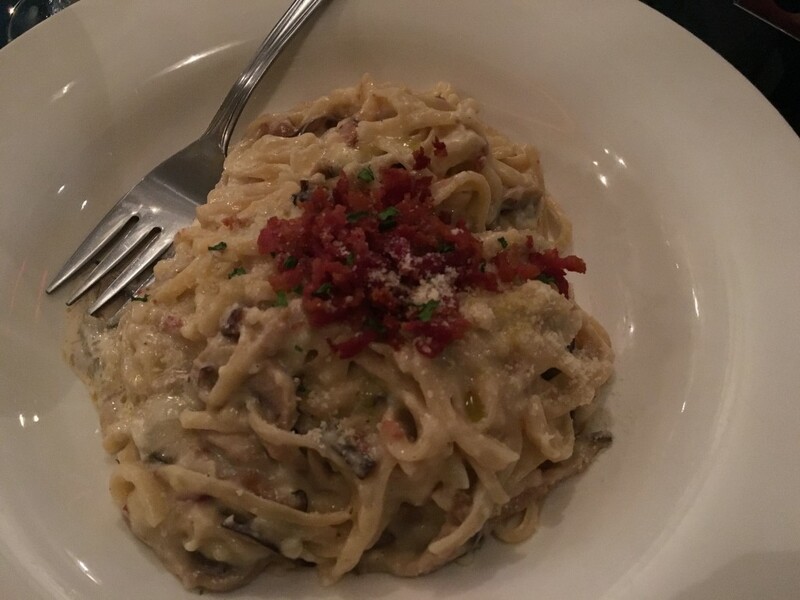 It is a taste of Italy in Iloilo. 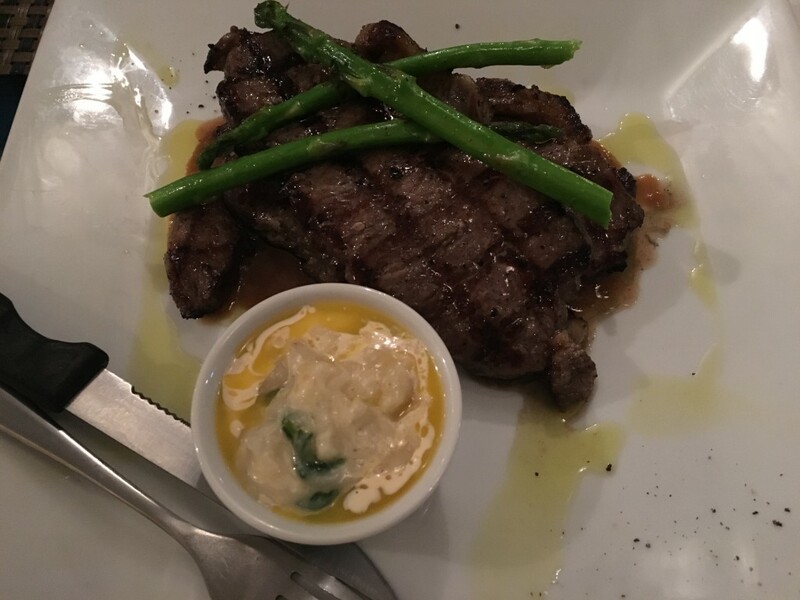 They offer an array of Italian dishes that range from pasta and pizza to fresh salads and soups, from mouth-watering steaks to desserts. 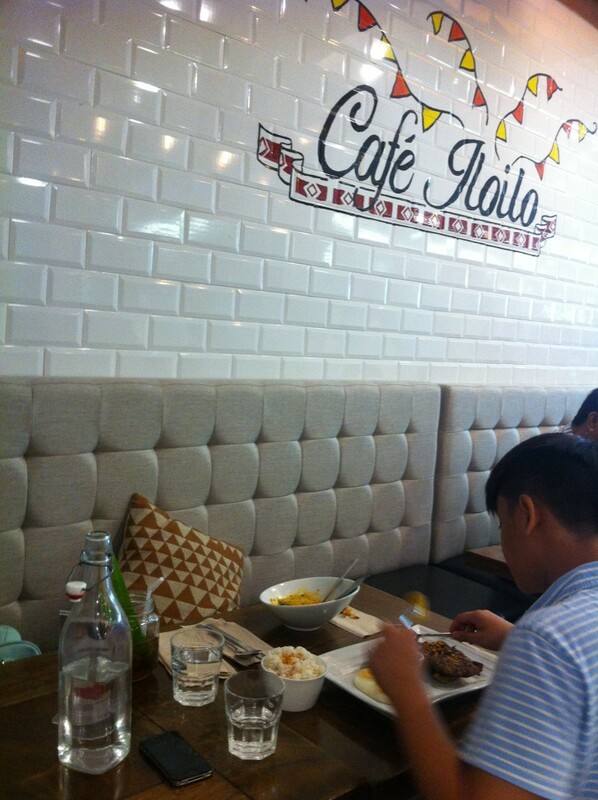 I love the cozy and intimate atmosphere of the restaurant. It’s a hit for us! 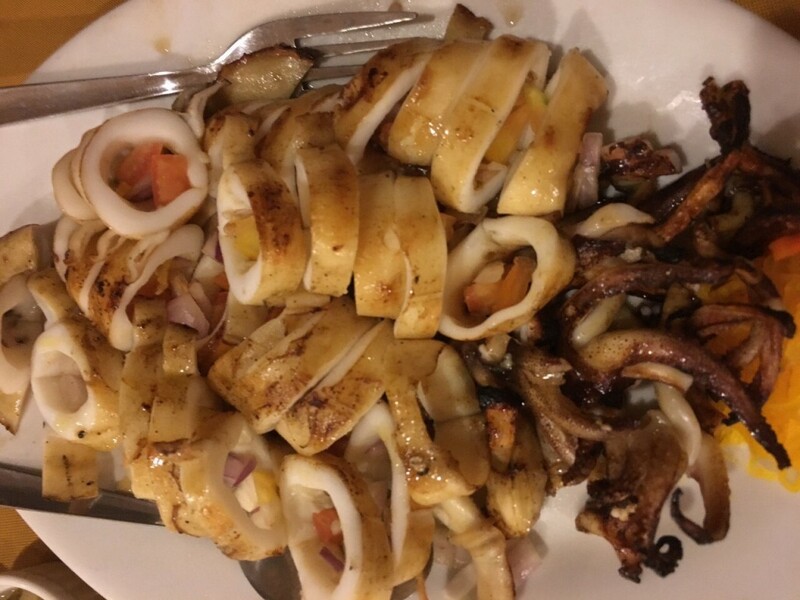 One of Iloilo’s top seafood restaurants. 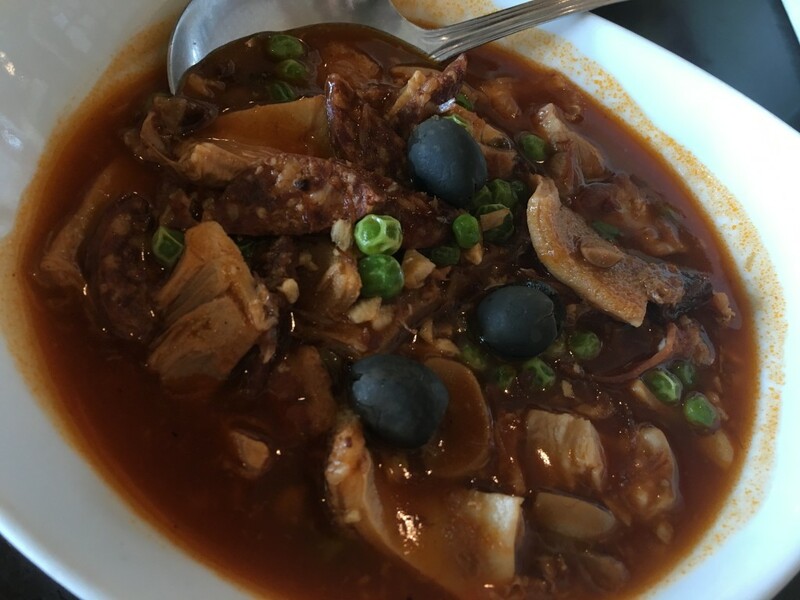 A combination of oriental foods, mixed with native favorites and Chinese cuisine. They serve the freshest catch in the market. The cooking technique is A-Ok. 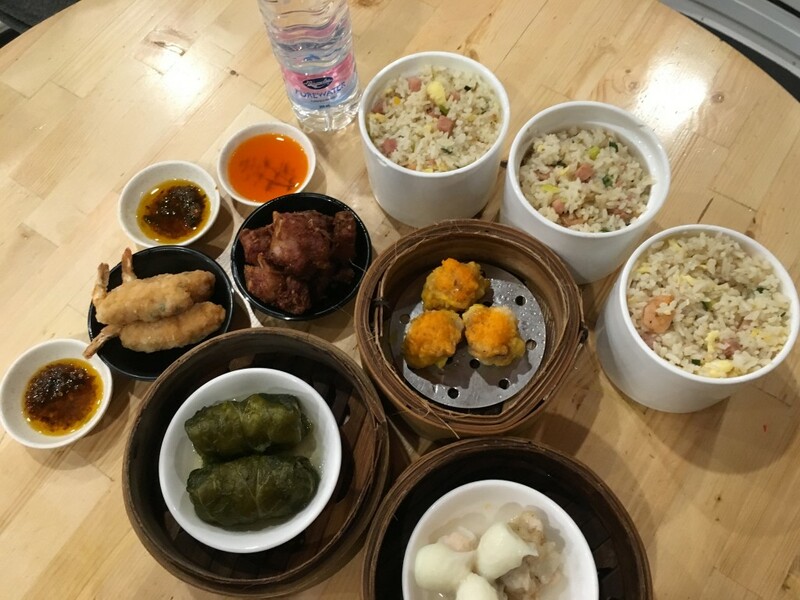 Wherever we go, our taste buds will always crave for Chinese food. 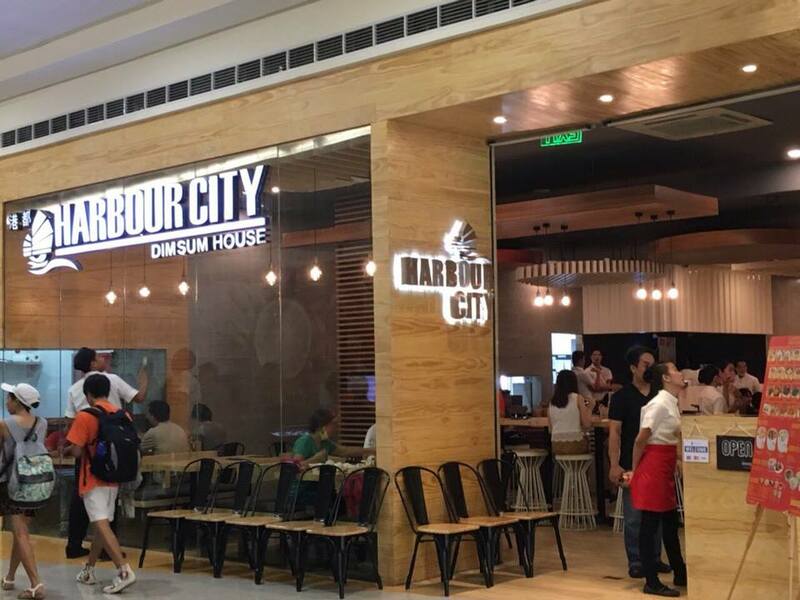 Harbour City is like “everyday Hongkong”, it gives you the classic dimsum and tea house experience. 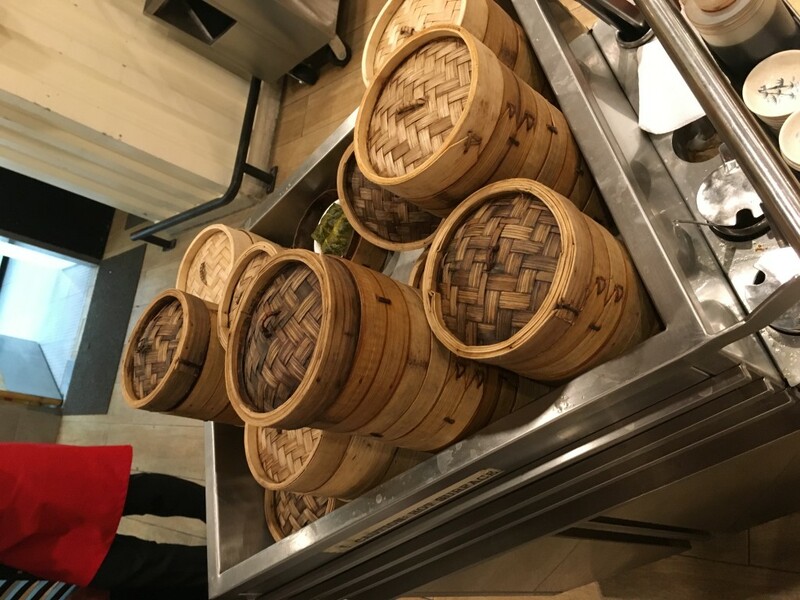 They offer a wide range of dimsum choices, the food is wheeled in by servers straight to customers’ table-sides for convenient and fast selection. 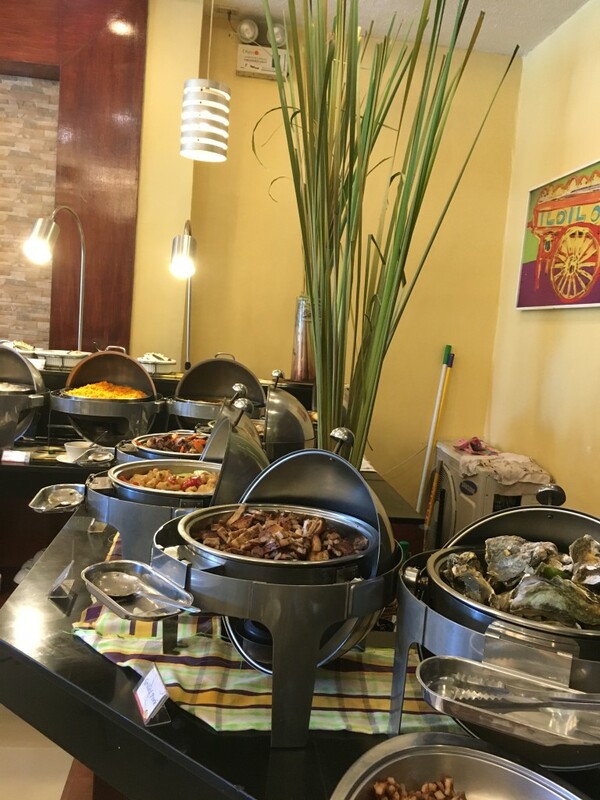 Iloilo’s Finest Hometown Buffet featuring original Ilonggo dishes. 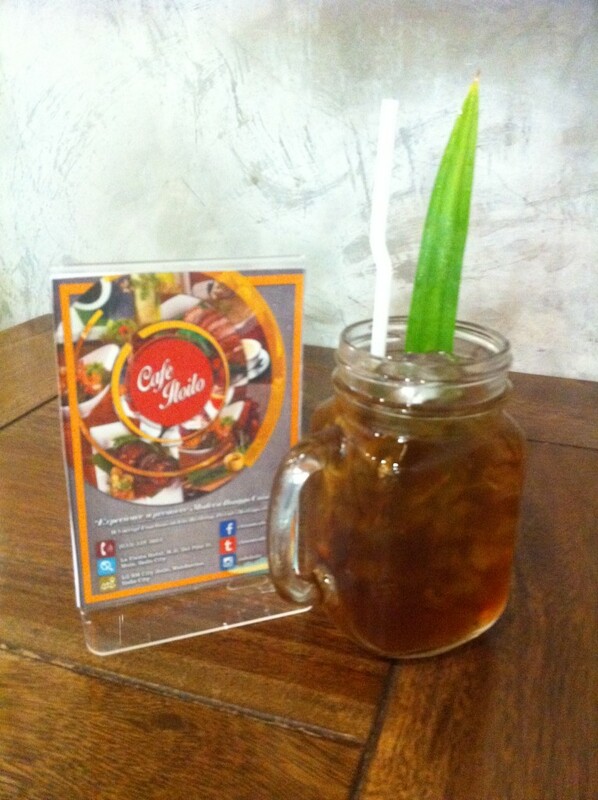 It’s a carinderia style meals but in a contemporary setting. The only food I like is their crab meat but they serve a lot of oysters. So if you’re a big of fan of oysters, then this place is for you. 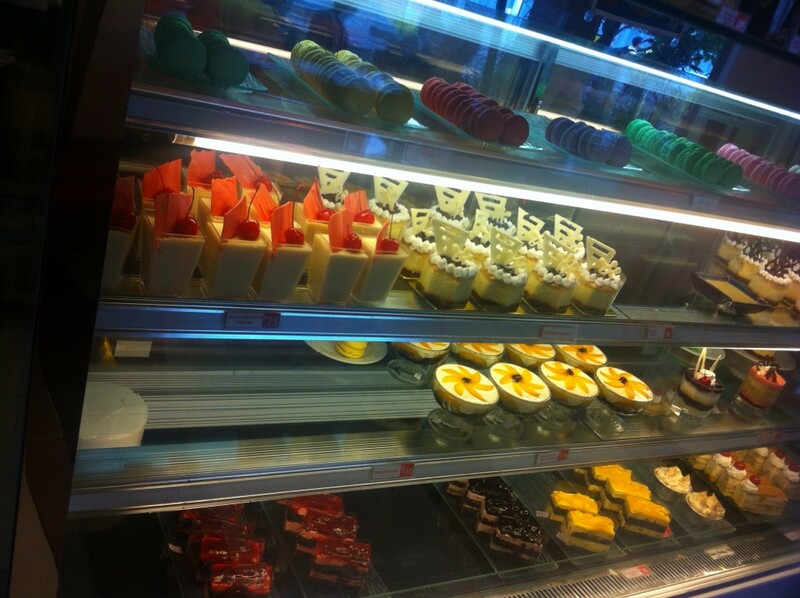 Food is quite simple and the buffet price is very affordable. 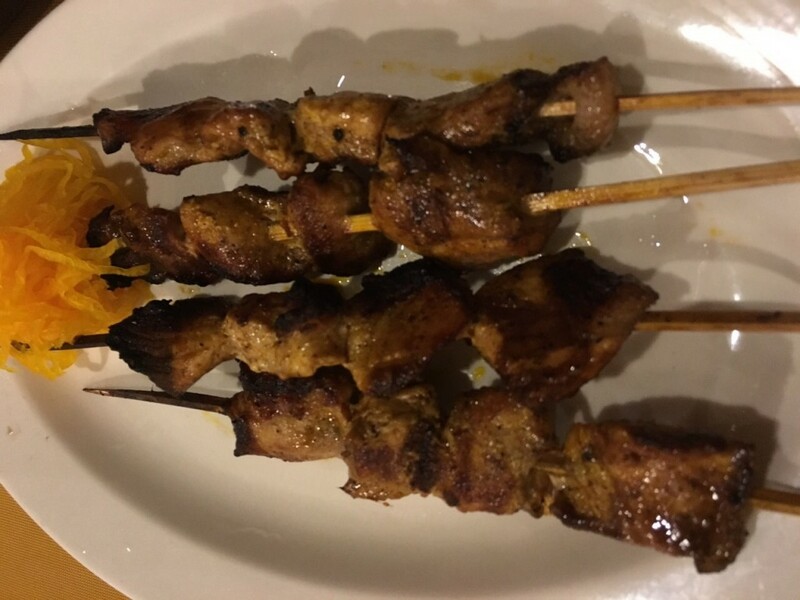 Buto’t Balat serves Filipino and Asian Fusion food. 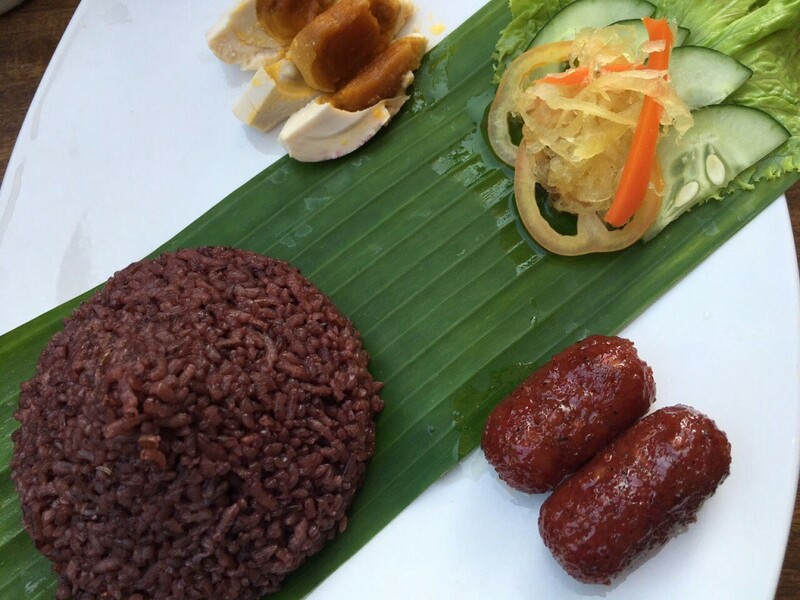 With its open-air ambiance, the restaurant gives an al-fresco and oasis feeling to all diners. 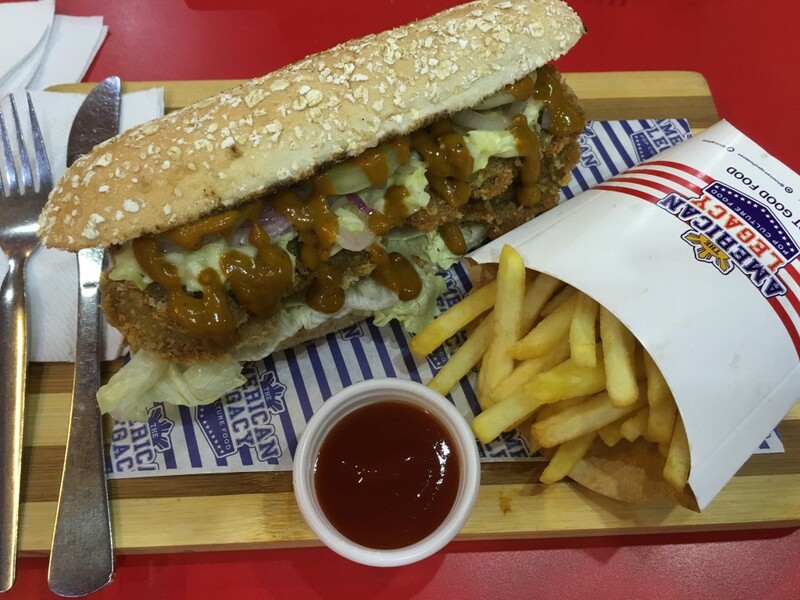 The food is good but nothing extra-ordinary. Price is very reasonable. 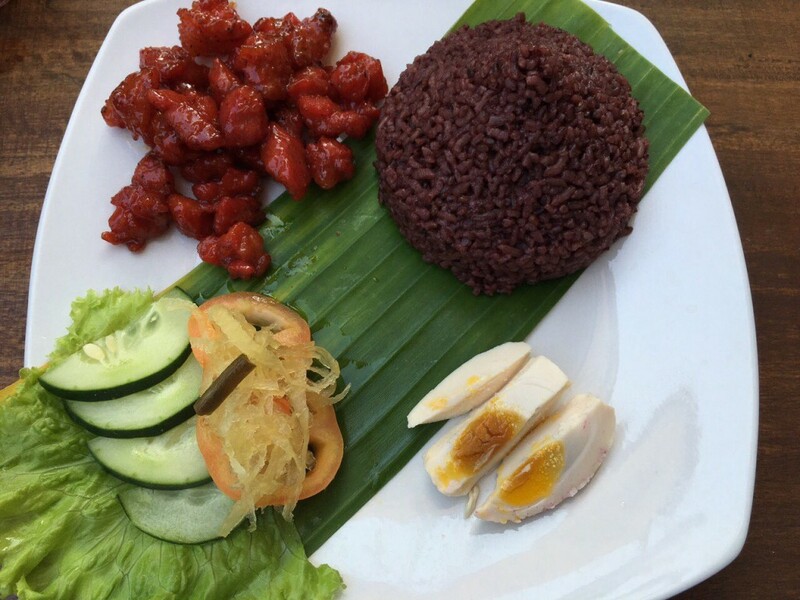 Homegrown coffee shop, Cafe Panay serves delectable Ilonggo dishes located at the back of Molo Mansion. 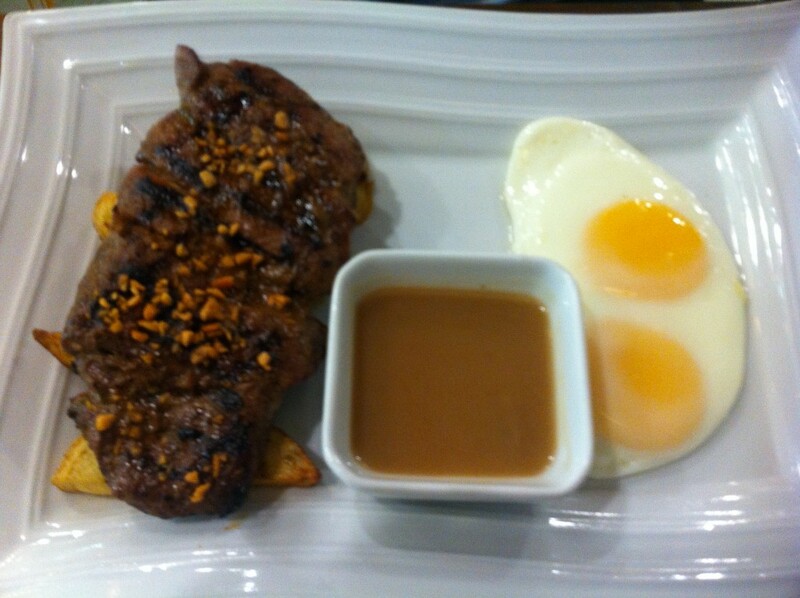 Good food with reasonable price! It redefines the cool lounging and dining experience. 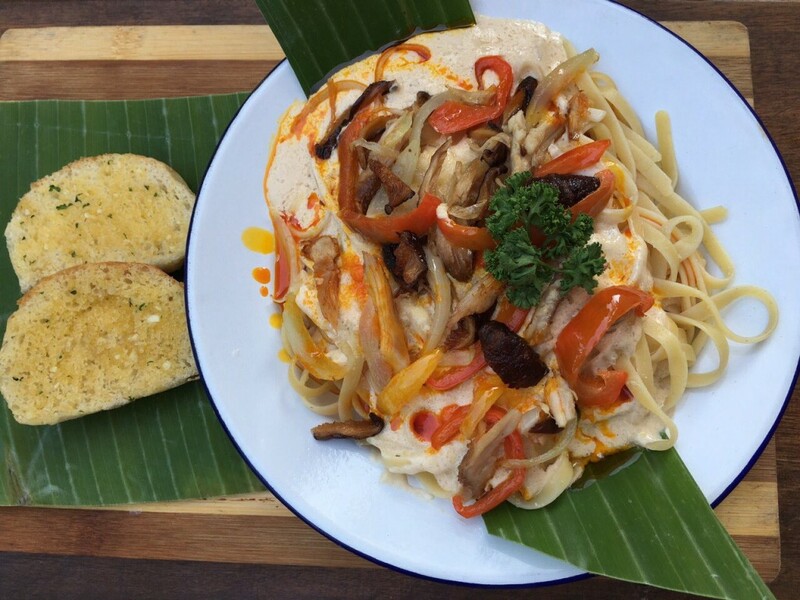 They serve flavorful dishes with stylish plating. The place has an elegant design with lovely view of the river. 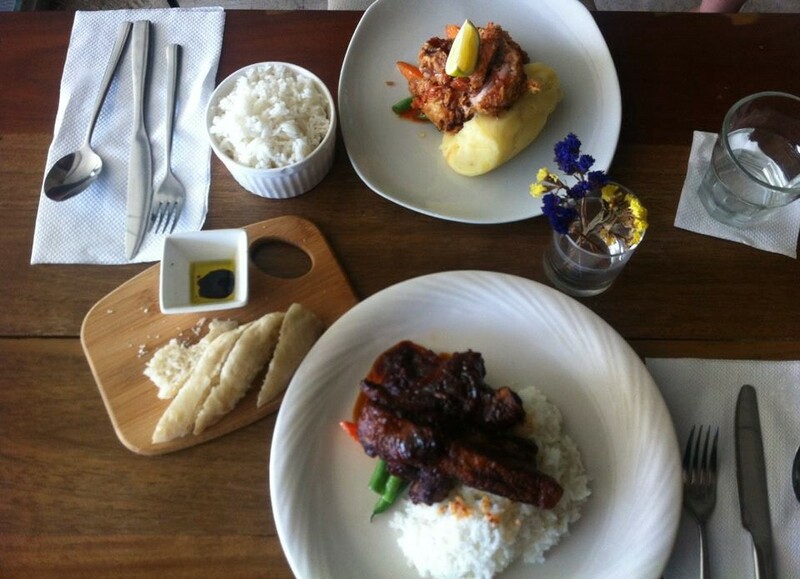 A homegrown Cebuano brand, Chika-an offers great tasting Filipino dishes and they’re priced reasonably. 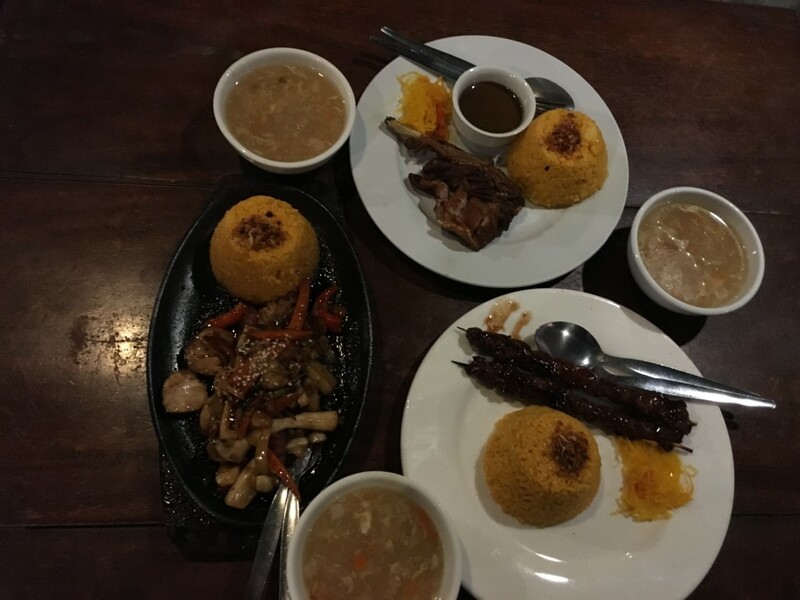 Another homegrown Cebuano brand, Hukad’s signature dishes are reminiscent of home-cooked meals a quality native cuisine at affordable prices in a convenient, and comfortable venue. 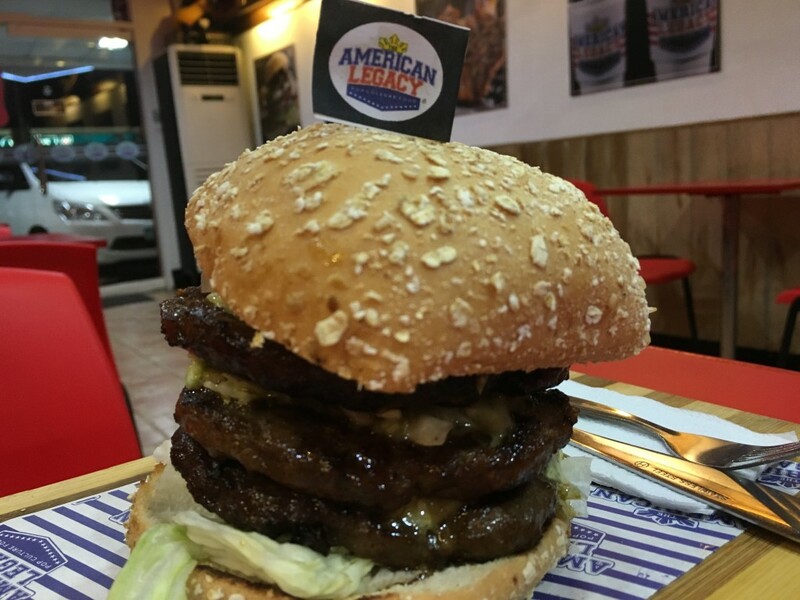 It offers a casual American dining experience in Iloilo. 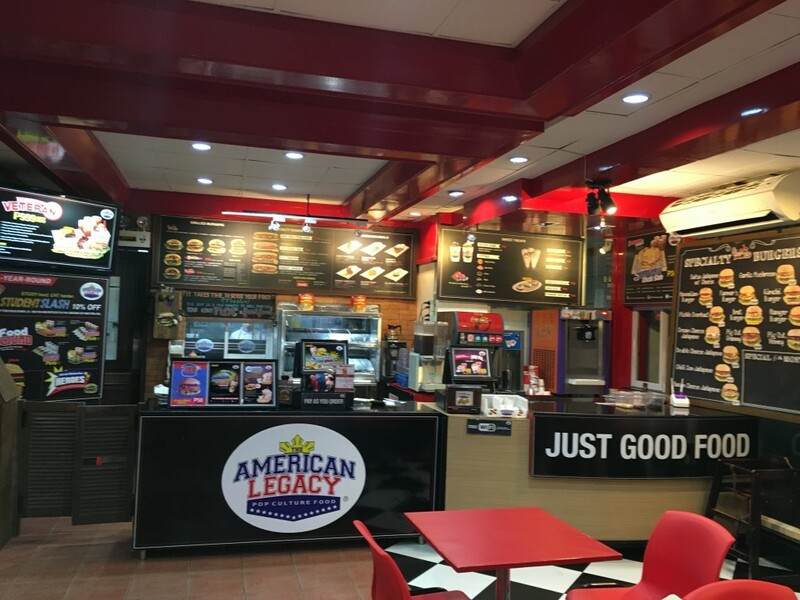 American Legacy design also gives an energetic and retro atmosphere, a clear reminiscence of the 1950s America burger venue. 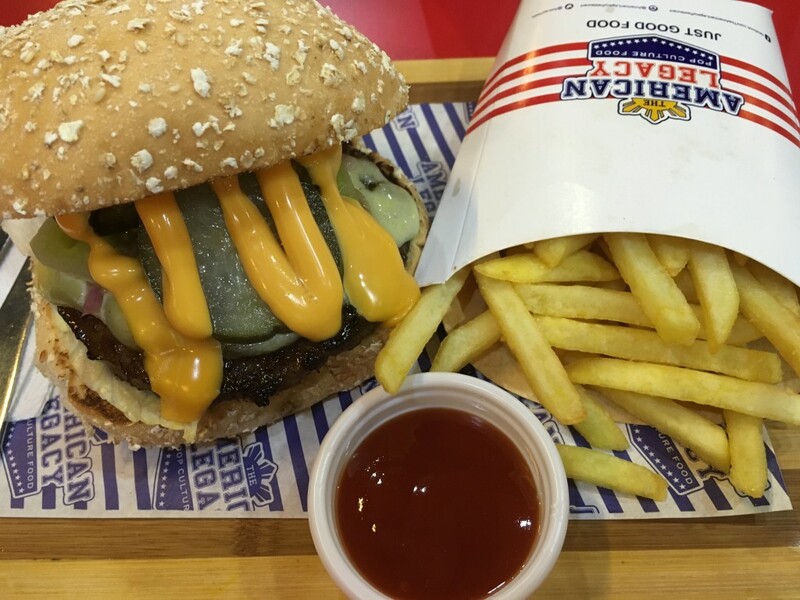 The burgers are pretty much an American burger. Big, juicy, lots of toppings. 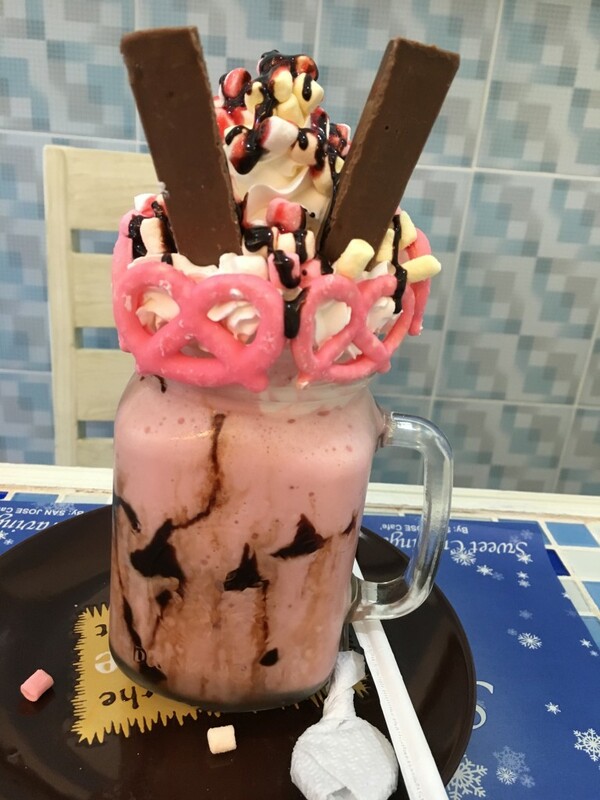 Milkshakes are thick and creamy. Their French fries are crispy and light. Prices are good. Overall, we are happy with the meal! 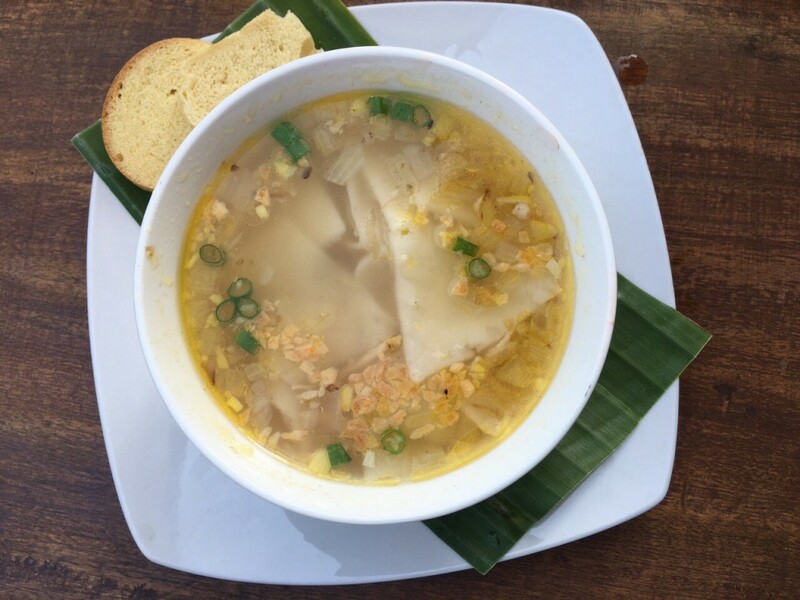 Roberto’s snack house is known for having the best and largest Siopao in Iloilo City. 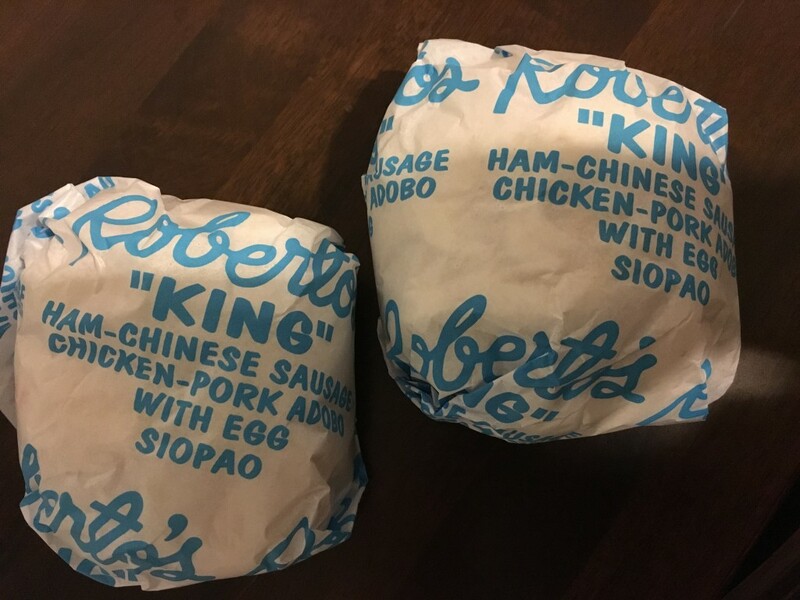 The people in Iloilo equate the word Siopao to Roberto’s. 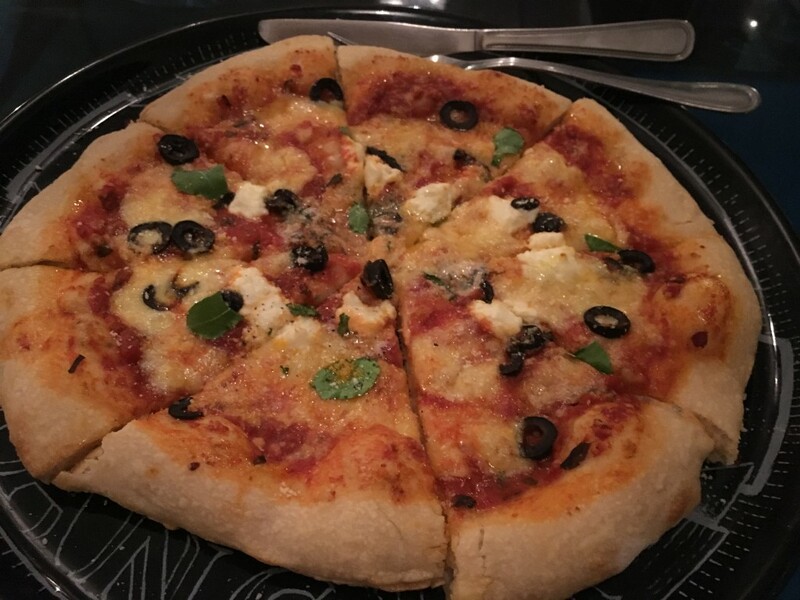 The taste is distinct, very soft dough and chunkiest and best tasting siopao I’ve ever tasted! 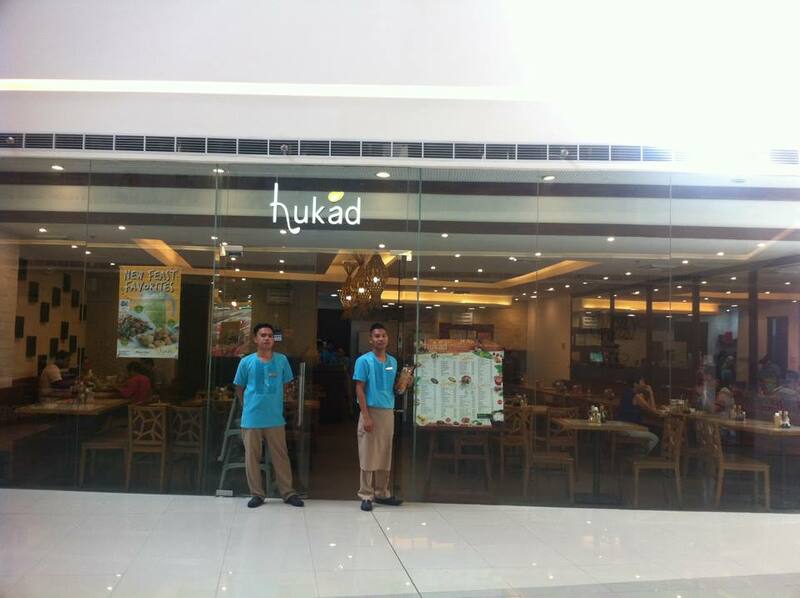 It’s a well-know coffee shop in metro Iloilo. 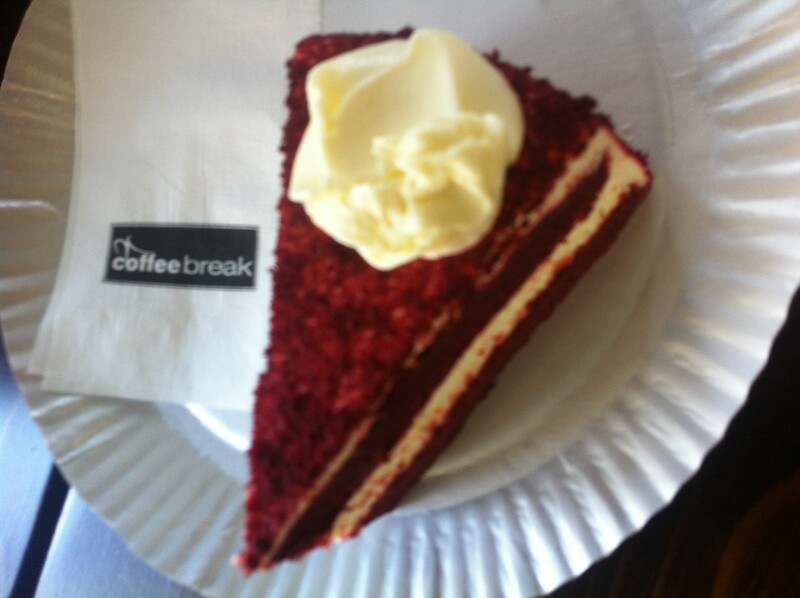 They serve coffee, tea, frappe and dished up with cakes and pasties, pizza or pasta. Though for us, it’s an average coffee shop, nothing extra ordinary. Pricing for each item is fair enough. The place has modish design that set a soothing place to relax. 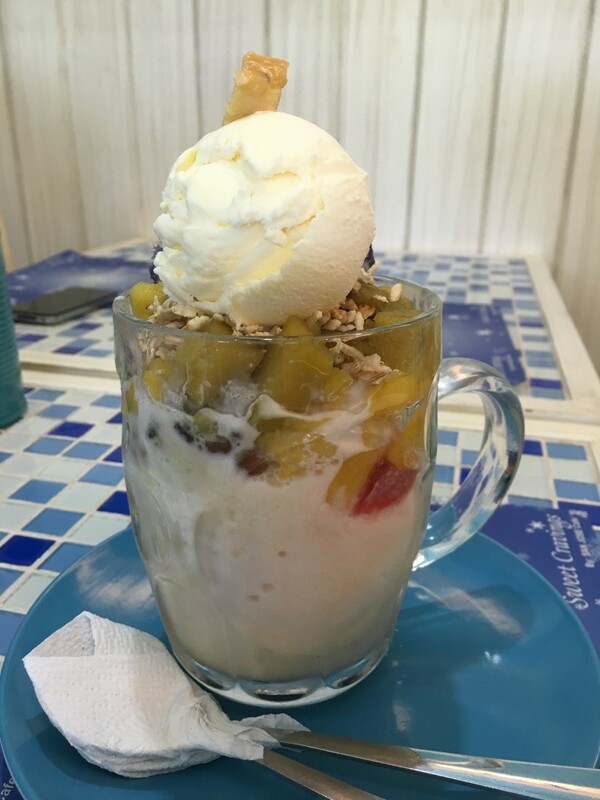 This will truly satisfy your sweet cravings! 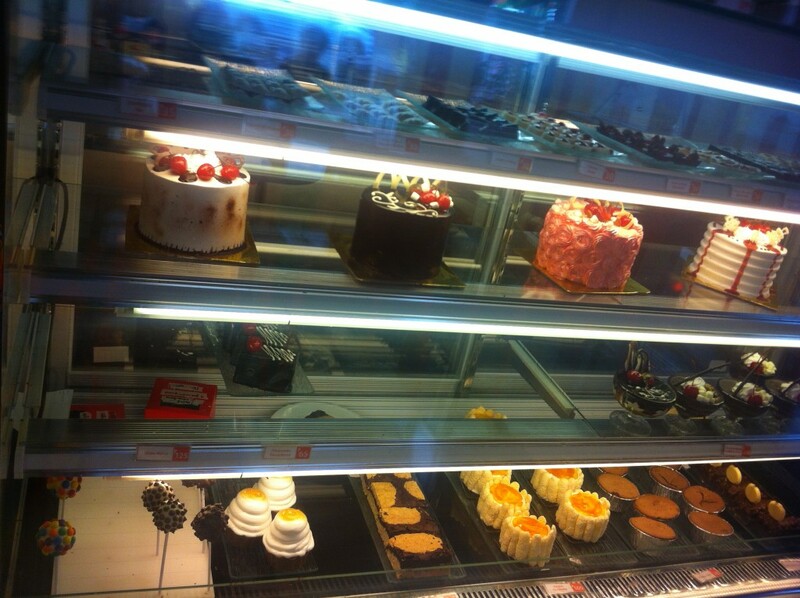 It’s a destination for those in search of the sweetest of treats. 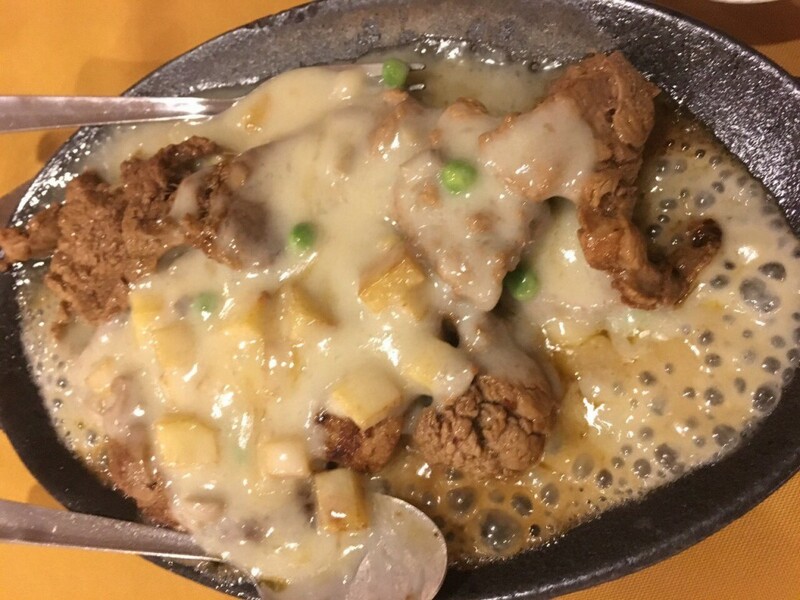 A very good place to cap off the your meal. 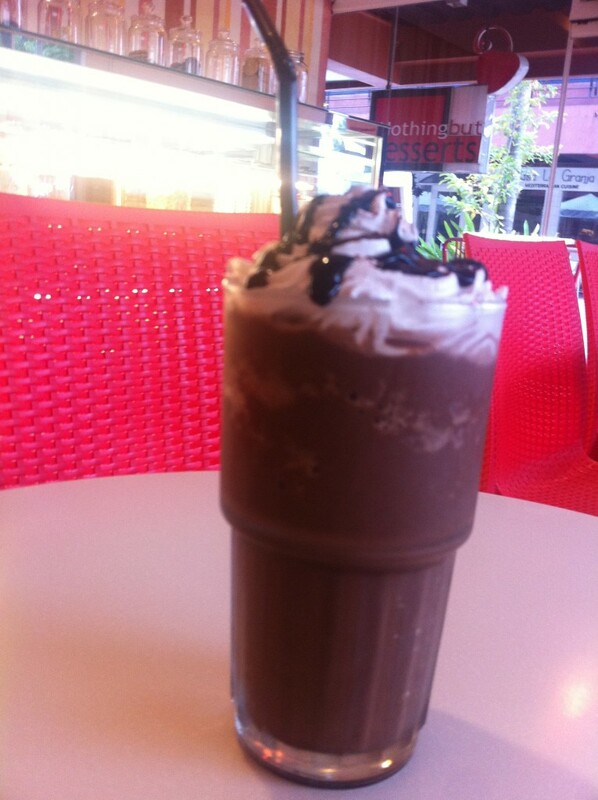 I love their choco tablea, for me it’s a frappe with Panay twist. It’s a small shop but has quite appealing interior design. Price is reasonable. 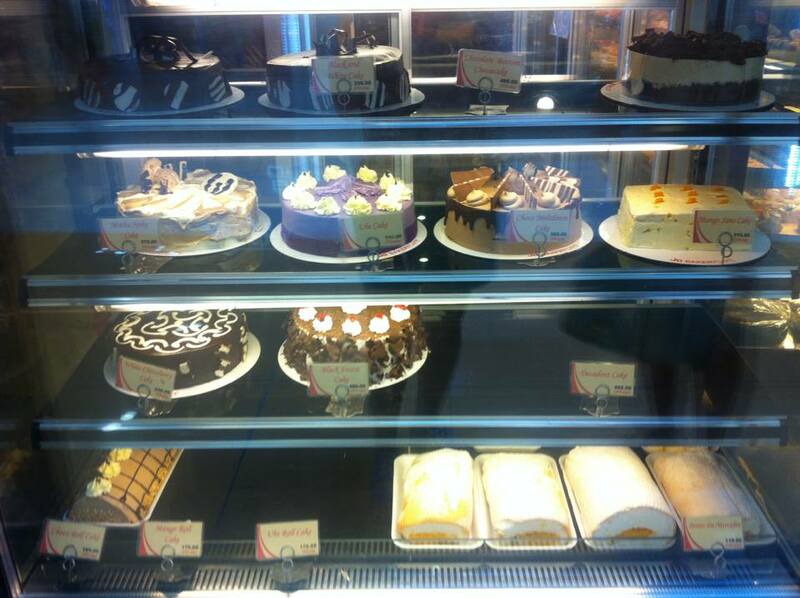 My go-to bakeshop in Iloilo. 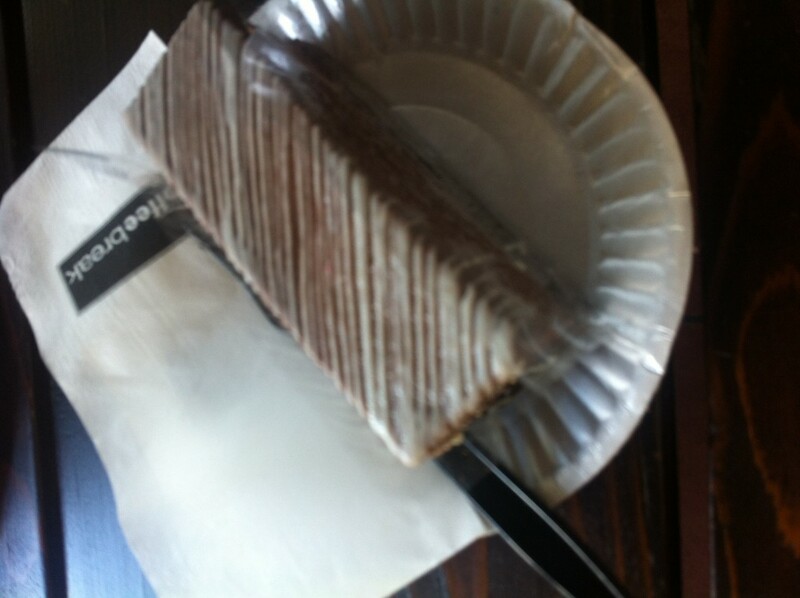 I love their cakes and cake bars and my favorites are oatmeal, revel and chocnut bars. Theyoffer savory meals too. The price is very very budget friendly. 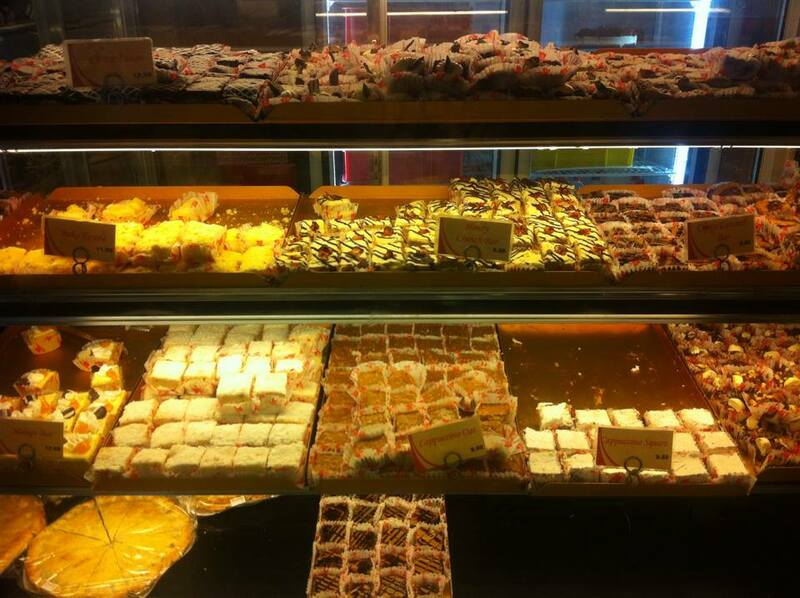 Home of Ilonggo Delicacies. 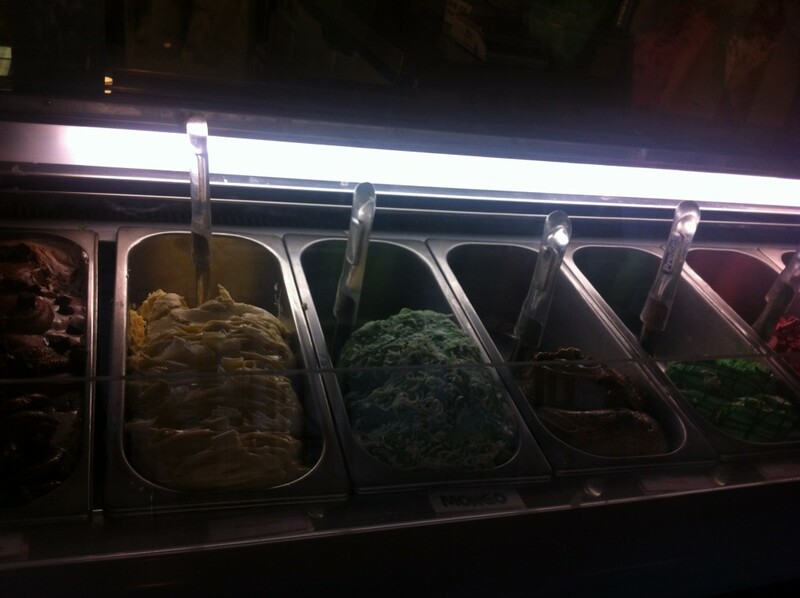 My favorite is butterscotch!